Find out where they stopped, and what happened! 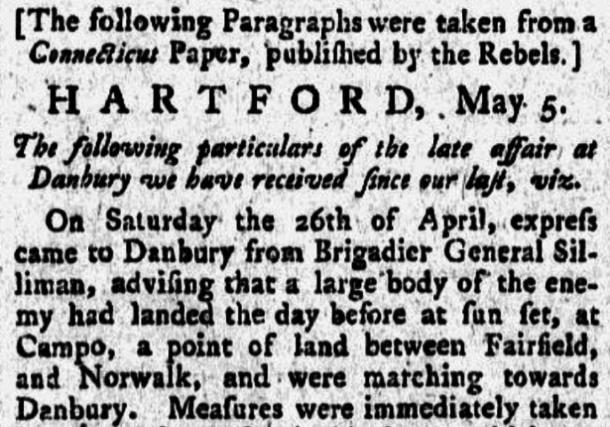 On April 27, 1777, approximately 1800 troops under the command of British General William Tryon marched towards Compo Beach after they burned houses and destroyed twenty-two storehouses of supplies, including 1,690 hard-to-replace tents, in Danbury. 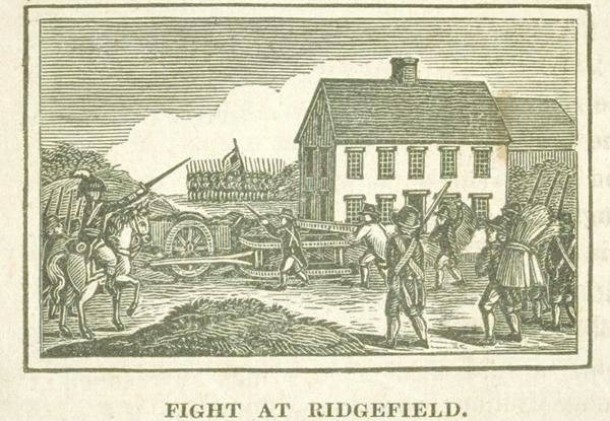 In Ridgefield, the British encountered a hastily erected barricade across the north end of the main street, and battled with several hundred patriot fighters of the Connecticut Militia, who were well armed and ready to defend their land and freedom. 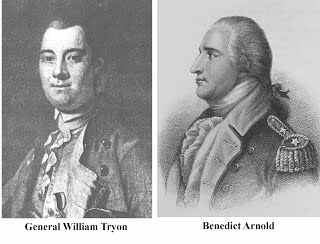 Led by Generals Benedict Arnold and Benjamin Gold Silliman, the Americans inflicted casualties on the British and delayed their progress. Major General David Wooster was mortally wounded, while General Arnold was nearly captured after his horse was struck by nine bullets and killed, as witnessed by Jesse Nichols of Wilton. 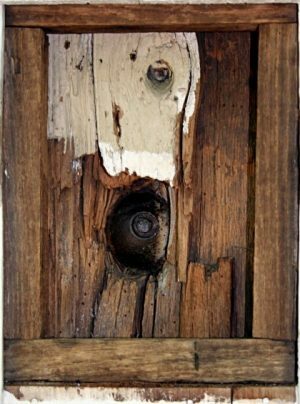 Upon their retreat further south, the British fired a cannonball – a visible “souvenir” – at T. Keeler’s Inn, where it remains lodged in one of the Keeler Tavern corner posts to this day. 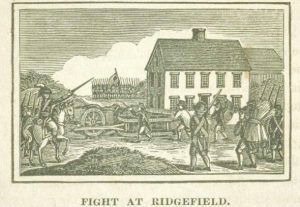 “The Wilton Militia, led by Lieutenant Seth Abbott, were participants in the stand at Ridgefield. Nathan Betts IV was killed and two were wounded: John Waterbury Jr. and Theophilus Mead, who was wounded by a musket ball in the hip. James Olmsted V and Jacob Patchen were taken prisoner but escaped. 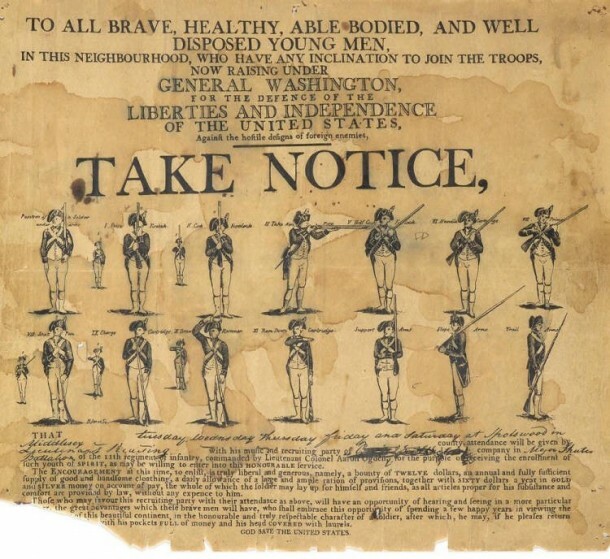 Other Wilton militiamen known to be in the battle included Captain Azor Belden, Ensign Samuel Olmsted, David Dunning, Nathan Gilbert, Matthew and Ezra Gregory, Matthew Hanford, Alvin Hyatt, Uriah Keeler, Jesse Olmsted and Moses Scott. 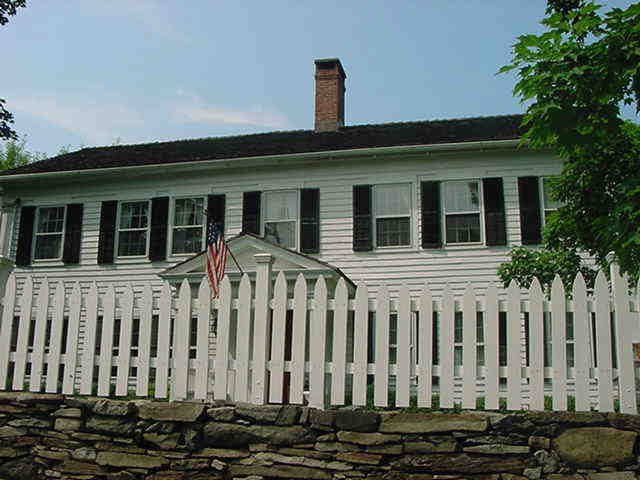 Elihu DeForest, a Wilton native, served as a captain of the Ridgebury Militia. 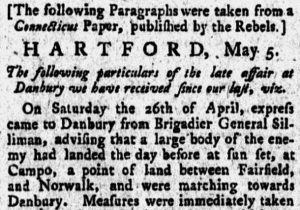 After camping for the night, the British passed quickly through Wilton on April 28, coming south on Ridgefield Road. During this march, the only Wilton citizen to be arrested was Benjamin Keeler of Bald Hill (742 Ridgefield Road), probably for firing upon the British. Benjamin was an Episcopalian and a Patriot, an atypical combination. 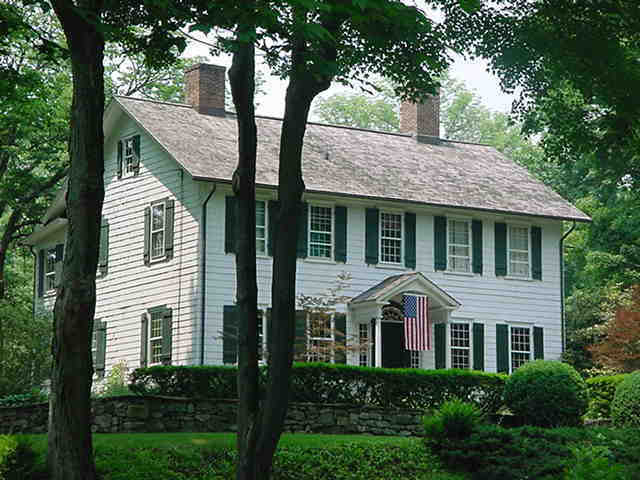 Samuel Keeler IV (652 Ridgefield Road) suffered the loss of several cows, carried off by the British. When all loss claims were finally recorded by the state government fifteen years later, Samuel claimed a loss value of 30 pounds 15s. 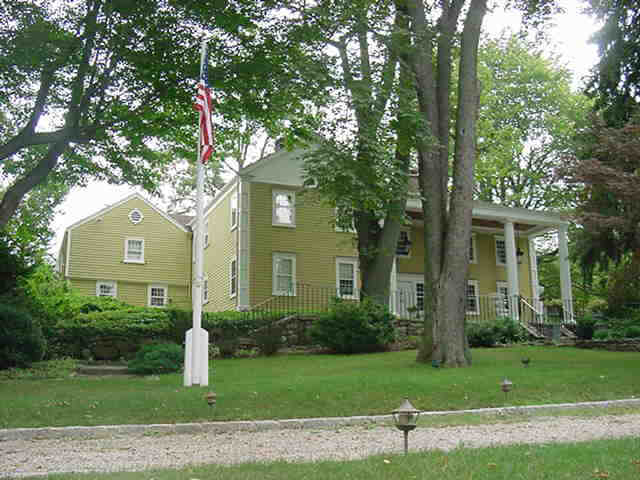 The next stop was the home of Captain Samuel Comstock at 433 Ridgefield Road, occupied by his wife Mercy. 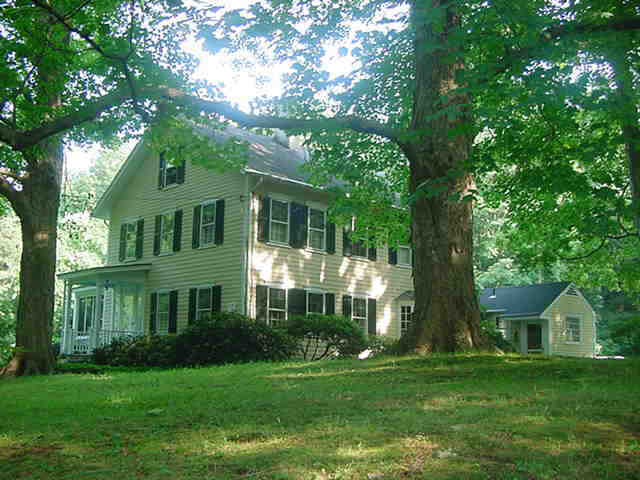 She set her table with tempting food and wine, buried her silver, and hid herself on the hill behind the house. 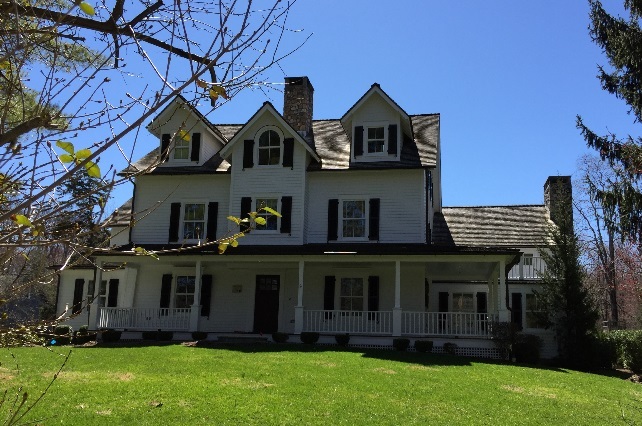 When the British arrived, they partook of the feast and left the house undisturbed. 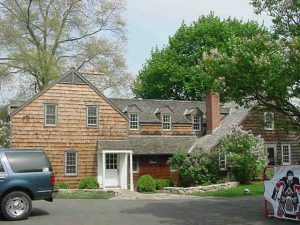 At Thaddeus Sterling’s house (384 Ridgefield Road), they entered and destroyed a large brass kettle. Samuel Middlebrook of Middlebrook Farm fled from his house (274 Ridgefield Road) with his wife and children, but the British entered, broke a large mirror and drained a hogshead of rum. His claim was 14 pounds 9s. 11d. 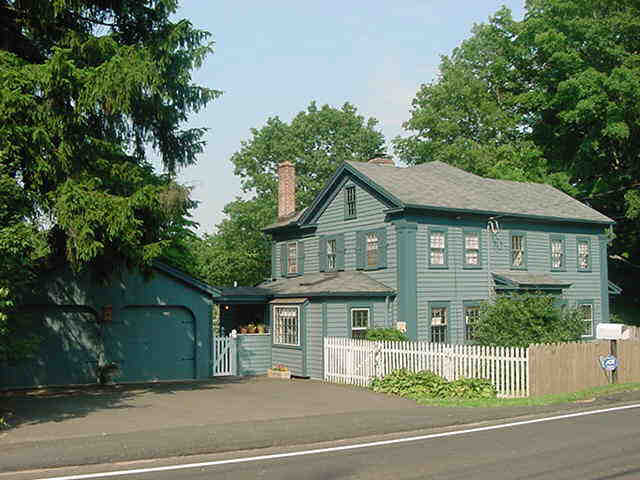 All six houses exist today on Ridgefield Road, designated a state scenic road in 1996. Having been warned of a possible ambush by militia units on the main road (now Old Ridgefield Road through Wilton Center), the British detoured down Mill Road, which then crossed the valley north of Merwin Meadows and joined (Old ) Danbury Road at the Burlock (now Dana) house. At the bridge over Norwalk River, they found and destroyed 100 barrels of rum, several chests of arms, many cartridges (bullets and power wrapped in paper), 300 tents, and the forge and bellows of Captain Clapp Raymond, a blacksmith. All of this had been hidden there for safekeeping as the Americans did not expect the British to take this route. 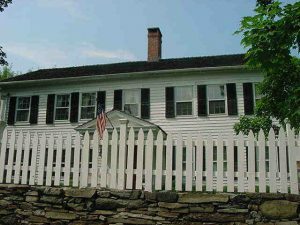 Upon reaching Samuel Belden’s store, the troops began to pillage it but stopped when they discovered his Loyalist allegiance. Across the street at Captain Raymond’s (249 Danbury Road), they attempted to set fire to his barn, but his Tory neighbor Mrs. Belden and her Indian slave Bill Tonquin put out the fire. Raymond later claimed damages of 34 pounds 3s. 10d. 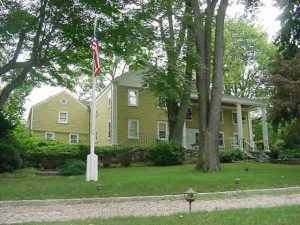 Tryon continued his march up Dudley Road, pausing to loot the home of Lieutenant Seth Abbott (149 Dudley Road), to the extent of 55 pounds 7s. 3d. damages. This entry was posted in Did You Know? on April 25, 2017 . A man and his dog . . . for George Washington, it was his beloved war-horse, Nelson. 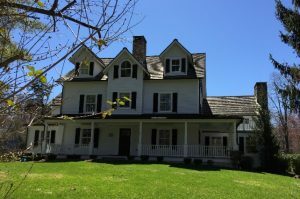 The original Yankee Doodle was a local boy . . .